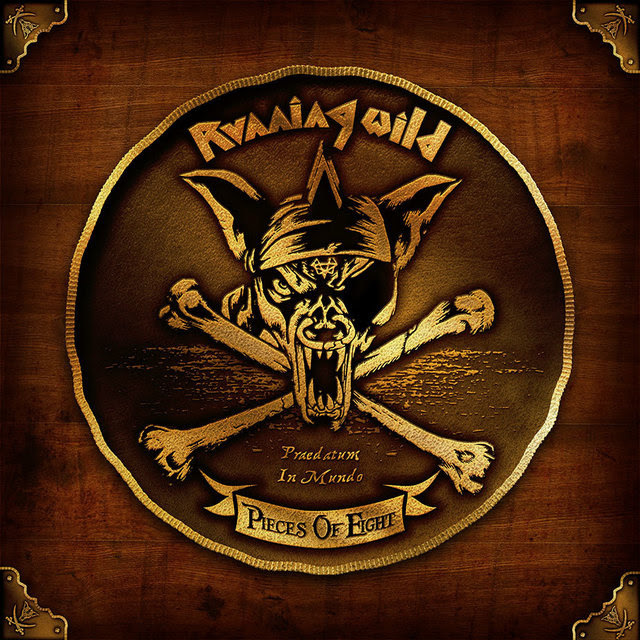 NOISE Records are proud to announce, Running Wild – Pieces Of Eight : The Singles, Live and Rare. 1984 – 1994. A deluxe, limited edition boxset containing all the bands Noise records singles, the re-record compilation ’The First Years Of Piracy‘ and an expanded, double gold vinyl version of their debut live album ’Ready For Boarding‘, which features a whole new show on disc two, from 1989, previously only available before on VHS tape. All of these titles have been long out of print, since their original release during the bands decade tenure on Noise. 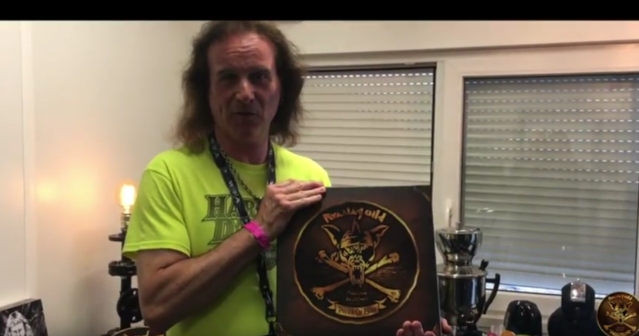 The box set also includes a collectable, Running Wild, piece of eight coin and a two sided poster featuring the band‘s classic line-up and the box set artwork. German heavy metallers Running Wild were formed in 1976 in Hamburg, but shot to fame during the emergence of the German metal scene in the early to mid-1980s. Over the course of their career, they have released sixteen studio albums, three live albums, five compilation albums, and six singles/EPs. Although their earlier releases contained Satanic themes and imagery, they later invented the pirate metal subgenre after the band released their third album in 1987, Under Jolly Roger, which was a switch to pirate-based and historical themes, creating and influencing the later named Pirate metal subgenre of heavy metal in the 2000s in the process. While the historical lyrics were fantasy at first, the lyrics for later albums were intensively researched, by frontman Rolf Kasparek in particular. After this album, from 1988 to 1992 (for the albums Port Royal, Death or Glory, Blazon Stone, Pile of Skulls & Mascquerade), Running Wild mainly wrote historically based lyrics. In addition to lyrics about pirates like Calico Jack, Klaus Störtebeker, or the little-known Henry Jennings, the band also addressed subjects like the Wars of the Roses, the Battle of Waterloo, or the colonization of the New World by the Conquistadors. They have sold over 1.8 million albums globally making them one of Germany’s largest exports.